Teachers, are you losing your patience with students. Do you have a hard time managing behavior and maintaining discipline? 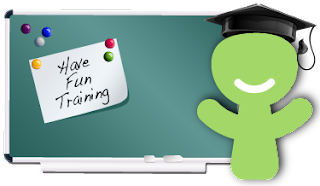 Patience Training: Have Fun Teaching brings you an in‐depth educational training of the character trait Patience with an explanation of how to implement patience in all areas of life. This course will describe how to put into practice the 4‐step process of effective teaching strategies that will help you model, instruct, practice, and reinforce patience. To learn more about this Patience Training online course for teachers, visit Have Fun Teaching Website or the Have Fun Training website.